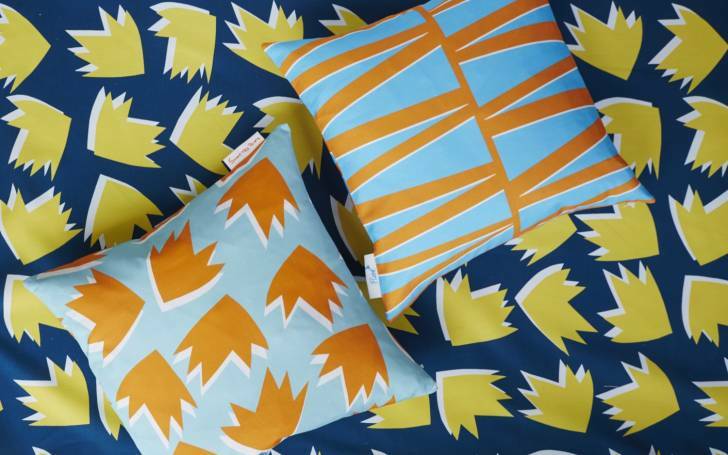 Launched in July 2015 the Flock x Sunny Todd Prints capsule collection captures the style of both brands- Our dynamic, bold and graphic designs coloured in Flock’s vibrant signature hues. 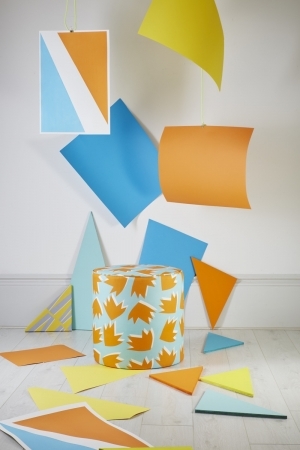 Always interested in the irregular and the playful, Flock’s creative director Jenny was drawn to Sunny Todd Prints’ patterns as they had an energy and element of fun, together both design teams worked through samples and ideas to settle on a capsule collection that is a perfect reflection of both brands. 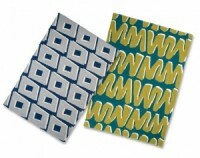 ‘Mirror’ features a simple pattern of bold and slanted lines that play with the eye and pop out of the fabric due to their white accented offset. 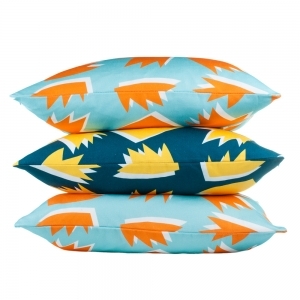 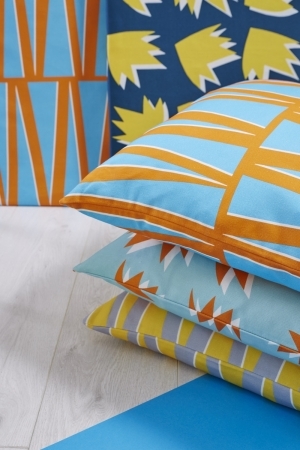 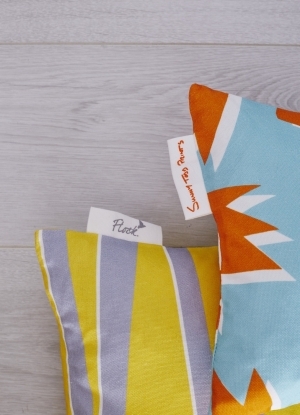 Available in two exciting colour combinations: teal and yellow, and turquoise and orange. 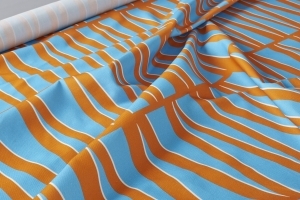 EXCLUSIVE design ‘Spring’ features an energetic pattern of contemporary floral shapes that dance across the fabric and feels 3D due to their white accented offset. 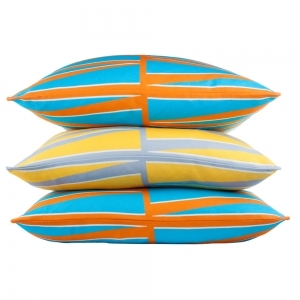 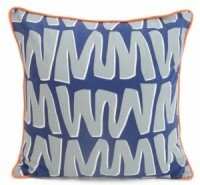 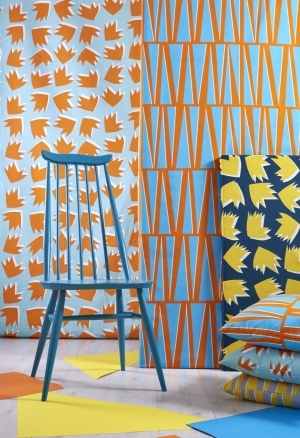 Available in two exciting colour combinations: pale grey and yellow, and bright blue and orange. 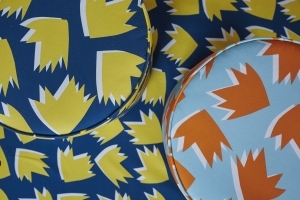 The Flock x Sunny Todd collection includes fabric by the metre, cushions and our own version of the pouffe- the ‘Toddstool’. 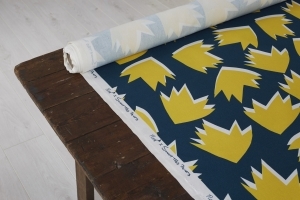 All fabrics are printed in Lancashire on the finest quality 100% cotton.